In Spain press conferences do work. Journalists want to meet the people behind a brand and have a personal interaction with them. This is the soul of “engagement”. Truth is, for broad announcements, the more journalists we get, the better – and not all are based in the same location or have the same agenda. That implies either more budget for fly-ins, or different press conferences in different cities, or , of course, technology. All solutions are valid, it depends on the strategy. For a new comer, we want people in flesh, thats for sure. Technology has given us tools for live video streaming for years – but costs are ( were ) usually high. Now, in recent weeks, we are seeing lots of excitement and evolution on live video streaming tools…oh sorry, apps! Periscope , owned by Twitter, is one of our favourites. We are still testing and mastering, but its easy so use, simple and convenient. And today, voilà! 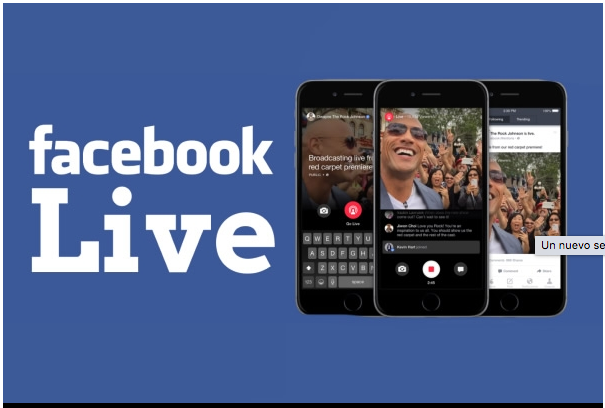 we read “Facebook launches live video in the US.” There it is! The party has started, and the more the merrier. There is clearly a set of winners so far : the cariers ! Video does consume lots of megabytes! We will keep an eye on both!